QYO2, QYO3, JSE, BB, WS & WE performed in four fantastic Concerts at Twilight, that featured challenging repertoire and excellent musicianship from our new and returning members. QYO3 performed highlights from Jurassic Park followed Malcolm Arnold’s Little Suite No. 2 and a selections from Porgy and Bess. They were joined by the Junior String Ensemble performing repertoire by Vivaldi, Bizet, Delibes and Tchaikovsky, arranged by their conductor Chen Yang. Our young musicians played very well, especially since this was the first QYO concert for many of our new members. This year our Big Band performed in their own concert, instead of their usual Term 1 concert with QYO2, where they shared the stage with the John Paul College Big Band and Marist Ashgrove Big Band. Repertoire for the night included The Jazz Police, It Had Better Be Tonight, Fly Me to the Moon, Killer Joe and Can’t Stop Loving You. This was Big Band’s second performance of the term - which is an outstanding achievement considering they had only 7 rehearsals before this concert. If you would like to read about the Big Band’s other gigs please click here. The following weekend, our Wind Ensemble and Wind Symphony performed together in a concert that featured an array of repertoire including some that will be featured at their performance in the upcoming National Band Championships (repertoire not listed due to National Band Championship rule restrictions). The standard from both ensembles was really outstanding, especially after only 8 weeks of rehearsal together. 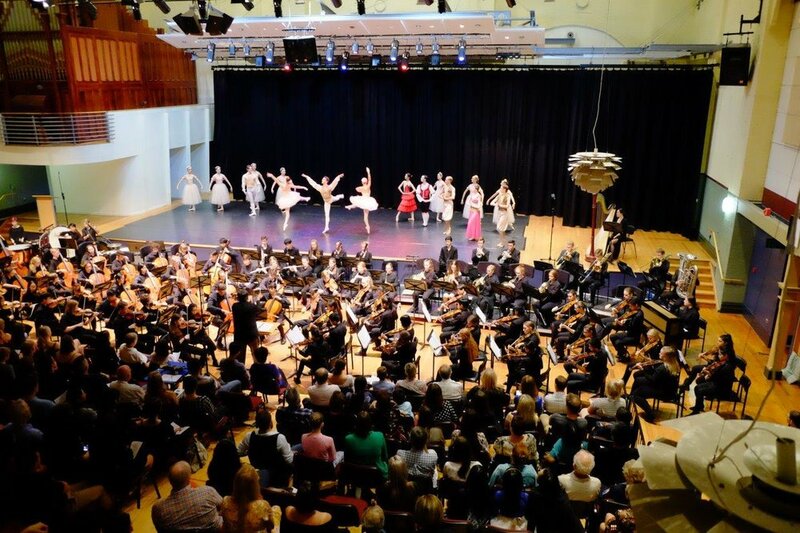 The final Concert at Twilight for Term One featured QYO2 collaborated with the Queensland Ballet Academy to present selections from Tchaikovsky's Nutcracker Suite. The collaboration was an amazing learning experience for all our performers, and resulted in not just one, but 2 sellout concerts! Other pieces in the program included Mussorgsky's Night on Bald Mountain and Rimsky-Korsakov's Le Coq d'Or Suite. Congratulations, and a massive thank you to everyone involved in making it a night to remember! Congratulations to each of our musicians on their performances and hard work throughout the term. Thank you to our wonderful team of volunteers, all the friends and family that helped on concert days and the audience members who came along. 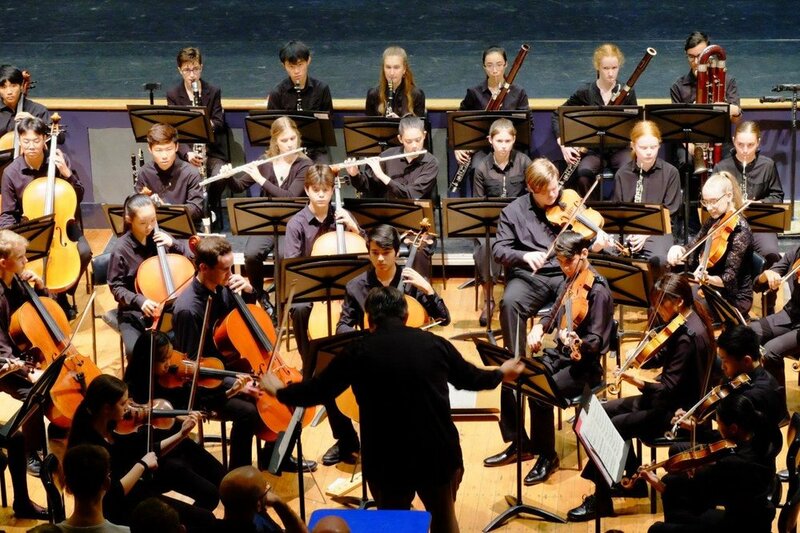 Without the supportive community that surrounds QYO, these concerts would not be possible.